It was the bare outline of a story, having little to do with what producer Alexander Korda wanted – a thriller set in post-war, Allied-occupied Vienna – but Greene developed the premise, first into a novella and then a screenplay. 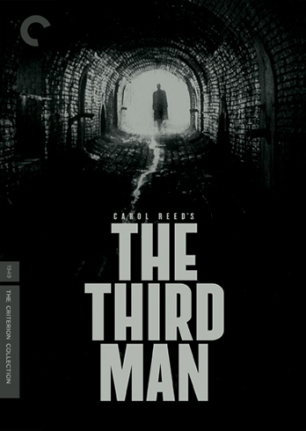 That single-sentence scrawl begat one of the most visually distinctive films ever made – Carol Reed’s classic noir The Third Man, about an American pulp writer discovering that his supposedly dead friend Harry Lime was involved in a penicillin racket. This back-story is a reminder that a full-length film can develop, incrementally, from a throwaway idea, so that the final product bears only a minor resemblance to the core text. Something comparable happened with Vishal Bhardwaj’s latest movie Saat Khoon Maaf, which was inspired by Ruskin Bond’s five-page short story “Susanna’s Seven Husbands”. Bhardwaj chanced upon the story a few years ago, requested Bond to expand it into a novella, and then developed a screenplay with his friend and associate Matthew Robbins. Now that the film is out, Penguin India has published the original story, the novella and the final screenplay (printed in a mix of Roman and Devanagari lettering) in a single book – an excellent idea, since reading them together provides a good insight into the conversion of a story into a filmable script, and what might be gained and lost along the way. 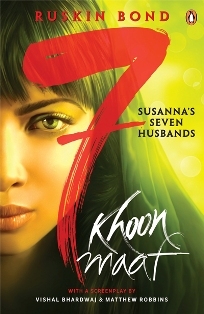 The original “Susanna’s Seven Husbands” is one of those concise, anecdotal tales that Bond does so well, with an unnamed narrator learning – through hearsay – about the life of Lady Susanna, an inveterate husband-collector (and probable husband-murderer) who lived in Old Delhi around a century ago. In the novella, Bond expands and modernizes the story, and gives us a new point of entry – a young narrator named Arun who lives next door to Susanna’s vast Meerut estate, forms a close friendship with her and tracks her conjugal adventures over the years with a mix of fascination, alarm and slight jealousy. 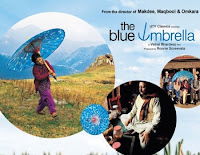 The screenplay that follows retains some plot details – the idiosyncrasies of Susanna’s spouses and the manner of their untimely deaths, in which a “goonga” jockey and a middle-aged maidservant play their parts – but the changes are a pointer to the sort of film Bhardwaj wanted to make. Thus, one of the husbands, the Prince of Purkazi, becomes a well-known poet named Wasiullah Khan (facilitating the introduction of romantic Urdu couplets into the script) and a South American diplomat morphs into a Russian attaché who supplies comic relief by goofily speaking Hindi, using lines like “Mere paas ma hai” and singing “Awaara Hoon” at a piano. In the original story, the narrator briefly likens Susanna to the husband-devouring Black Widow spider, and Bond jokingly expands on this in the novella (“It was some time since she’d dined off a fat, juicy male. Now she was thinking of moving her web elsewhere…”). However, the Susanna of the screenplay isn’t so much a spider as a chameleon, adapting herself to each new husband’s background and circumstances – she becomes a vodka-drinking “Anna” (and reads Anna Karenina) for the Russian Vronsky, she says namaaz when she’s married to the Muslim poet, and she sings a line of Rabindrasangeet for her Bengali husband. She’s a blank slate for these men – in one case, almost literally (one of the script's more romantic scenes has Wasiullah “writing” his name on her outstretched palm). And in the process she turns into a more sympathetic figure, which is one of the problems with this story’s makeover. There are essentially two ways of handling the tale of a woman who bumps off a line of husbands: either be lightheartedly amoral about it or provide a properly worked out explanation for her psychosis. Bond takes the first approach in both his versions, helped by the fact that the original story was set in the time of the Raj – as he pointed out during a recent discussion in Delhi, distance lends a certain enchantment to sordid events: “Perhaps we find murder in colonial times easier to accept than murder in contemporary India!” In any case, the tone of his writing is influenced by the black humour of such classic British films as Kind Hearts and Coronets**, which didn’t much bother with conventional morality. The closest he comes to providing an “explanation” for Susanna’s impulses is a passage where she says she can’t help what she’s doing because after being married for a while she feels “the sudden hatred that practically every wife sometimes feels for her husband just because he is her husband”. As psychoanalysis goes, this isn’t particularly deep or useful (at least not as a justification for multiple murders), and perhaps we should take it as a sign that Susanna has unfathomable depths and that her story is best read as a wickedly funny comment on gender equations. 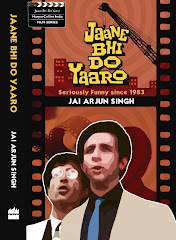 However, Hindi cinema doesn’t have a well-developed tradition of truly irreverent black comedy, and the screenplay tries for an uneasy middle ground; it retains the darkly comic aspects of the narrative but also resorts to sentimental explanations. On the whole, the script is at its least engaging when it tries to persuade us that Susanna “sacche pyaar ke talaash mein hai” (she’s searching for true love), and the resolution – with our heroine discovering the perfect “seventh husband” as well as personal salvation – is weak too, introducing ethical considerations and the concept of redemption into a story that could have done without them. Happily, though, this is one of those books where even the flaws are revealing and worth the reader’s time – especially if you’re interested in the complexities of story-to-film adaptation, and the nature of collaboration between artists with different sensibilities. ** During his Delhi conversation with Bhardwaj and Mahmood Farooqi, Ruskin Bond also mentioned Hitchcock's The Trouble with Harry as an influence on his darker writing - which was pleasing, for the film is a personal favourite. Honest comment - when I saw the film, I found it to be engaging and funny in bits and pieces. When it got over, I didn't know what to make of it. 7 Khoon Maaf is one confused mishmash (with lovely art direction, music and cinematography). I yearned for the old Bhardwaj when I saw Kaminey - but at least that film was consistently dark in its comedy and zippy in its pace besides being a tribute to masala Bollywood. 7KM goes nowhere. Sudipto: haven't seen the film yet. Briefly considered watching it when I had to write this, but didn't think it was necessary - I wouldn't make many assumptions about a movie based on the final screenplay, since so much depends on actual execution, last-minute improvisations, technical choices, etc. Though of course, this piece could have been a book review and and a film review! Count me in on the The Trouble With Harry fan club. That film is one of my absolute favourites. Fantastic! Delicious appetizer for me to watch the movie. dustedoff: yes, apart from eevrything else it's such a beautiful film to look at (don't know if you've seen it recently, on one of the restored DVD prints). The Vermont countryside through Robert Burks' camera - lovely! Hitchcock was quite the aesthete that year (1955); he shot another gorgeous-looking film, To Catch a Thief, in another great setting - the French Riviera. Jabberwock: Yes, the gorgeousness of those Vermont landscapes plays a major role in the overall awesomeness of The Trouble With Harry. 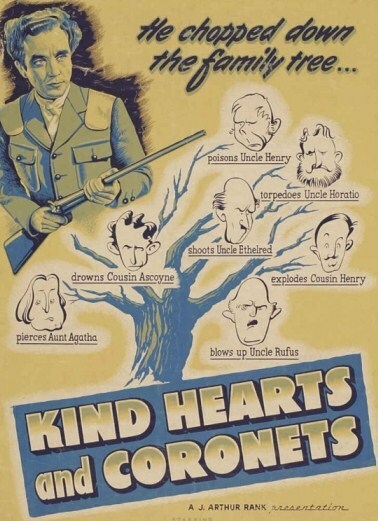 I have seen the enhanced version of the film - as part of a 16-DVD Hitchcock set that was released a couple of years back. Even though I own To Catch a Thief, it's been a long time since I watched it... my recollections of it are hazy. Intrigued at your blog & bought the book on SSH. Enjoyed reading the book (I began with the appendix of the short story, went on to the novella and then the screenplay). Just came back to reread your review. Like you, have not seen 7KM. What I can see is that the screenplay decides to have an excess of everything. Not just the several husbands, but too many snakes (one snake can be hypnotic, too many just icky), mushrooms (beware of a riot of colors), class inequalities (why does Arun have to become servant class Bhootnath couldn't fathom) , multiple partners-in-crime. Is Baudrillardian. The simulacra replaces the real. No longer haunting or dramatic as a Sahib, Bibi, Ghulam was. But a caricature of plenty ultimately. Indian audiences will not digest this, I expect - for Susannah is not distanced enough in time and space(notwithstanding her non Hinduness). Quite possibly, in a patriarchal world where skewed male-female equations are the norm rather than the exception, it will uncomfortably signal that Indian women could take matters in their own hands (that line of wanting to get read of him 'simply because he is her husband' is a devastating insight) . Piyul: interesting observations there - though I really must familiarise myself with Baudrillard soon! And very glad you liked the JBDY book. Must be an enjoyable read Susanna's Seven Husbands by Ruskin Bond. loved the way you wrote it. I find your review very genuine and orignal, this book is going in by "to read" list.